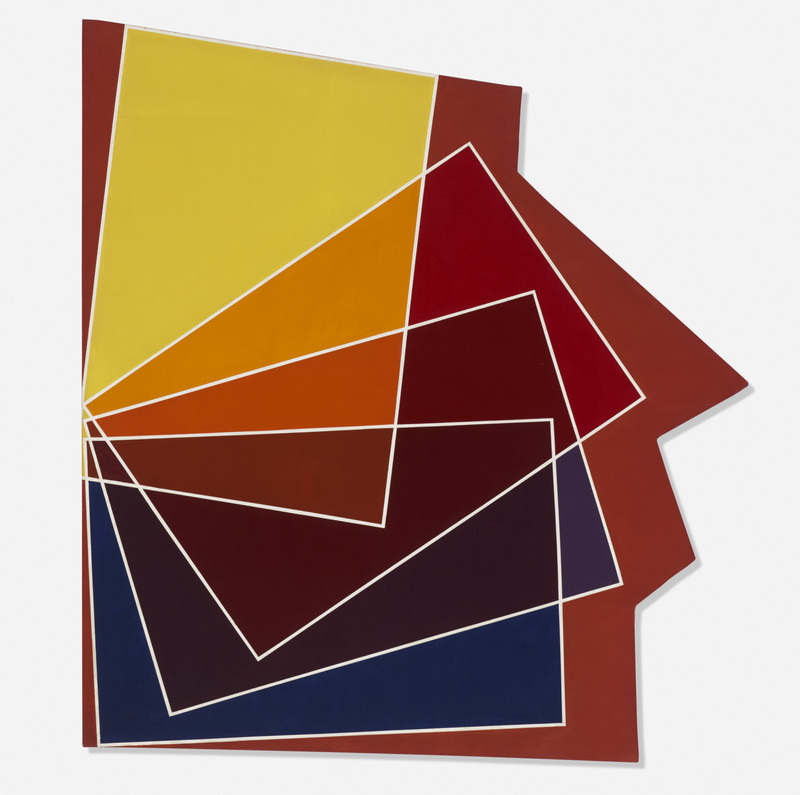 A pioneer in the use of shaped canvases in the creation of hard-edge geometric abstract painting, Williams was a graduate of the San Francisco Art Institute. His work was regularly exhibited in the 1960s and was included in the New York 1966 show Systemic Painting in which Geometric Abstraction, in all its forms—minimal art, shaped canvas and hard-edge painting—was brought to the attention of an American audience. After a successful solo exhibition in São Paulo in 1982 where he found a highly receptive audience for his geometric paintings, Williams died prematurely shortly before he was able to relocate to Brazil. Kiel (c. 1965) exemplifies this section, not only because the work takes the form of an irregular shape, but because the shape is constituted by a series of outlined rectangles that seem to be ‘falling’ out of the picture plane. To some degree, this shows a rejection of traditional Western formats and thus displays a deep interrogation of the art object itself.